An occasional pain in your belly may not be much of a concern. However, if you’ve been experiencing ongoing or worsening of pain in your abdomen, it may indicate something more serious. 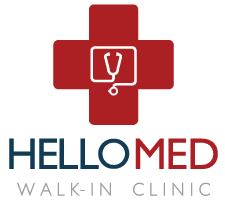 At HELLOMED in Ann Arbor, Michigan, the team of skilled physicians offers high-quality diagnostic and treatment services for treating abdominal pain. Book a consultation online, by phone, or as a walk-in at the clinic. If you experience a sudden onset of symptoms or worsening pain, seek emergency medical treatment. Problems with any of the structures surrounding the abdominal wall can cause abdominal pain. It’s also possible that pain from other areas of the body may feel as if it’s coming from the abdomen. In some cases, a heart attack can trigger pain in the stomach rather than the chest. Poor dietary choices may be the cause of short-term abdominal pain and discomfort. Eating spicy foods or overeating at meals can cause temporary pain that goes away in a few hours. Your doctor at HELLOMED reviews your medical history and symptoms to determine the source of your abdominal pain. They conduct a physical exam to locate the exact location of pain. Your doctor may also request imaging tests to get a closer look at your abdominal area, including an in-office ultrasound. In addition to visual tests, your doctor may request urine tests or blood work to check for infections or other underlying medical conditions that are causing abdominal pain. Depending on your diagnosis, your doctor at HELLOMED may provide you with medications to alleviate pain and inflammation in the abdominal cavity. If a diagnosis is difficult or complex, they may refer you to a gastroenterologist specialist for further treatment. Schedule a consultation online or by phone, or walk into the clinic, to learn more about relieving abdominal pain.